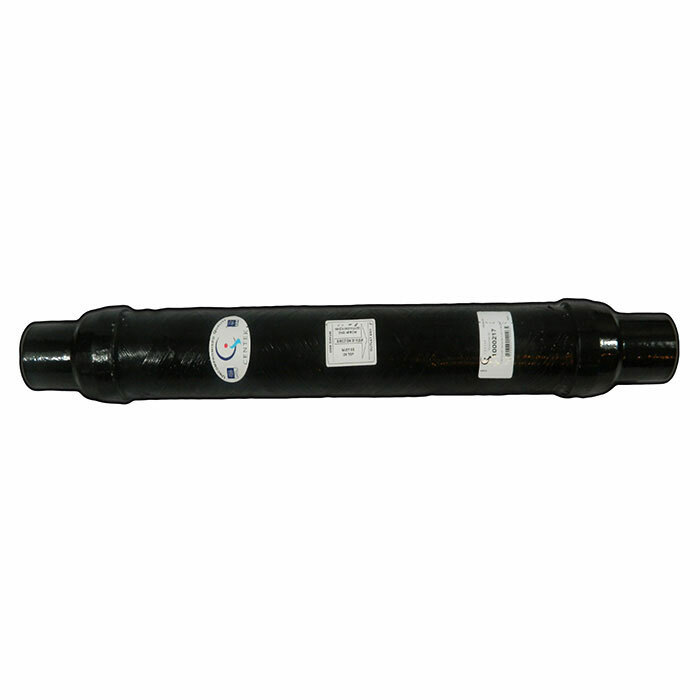 Inlet/Outlet Diameter: 3", 45° Straight Outlet, Length: 43"
The Centek Verna-Ski™ wet exhaust muffler is based on the time tested Vernatone muffler, but is enhanced for ski boat applications. Made from fiberglass and flame suppressing resin. A-Inlet & Outlet Diameter: 3.00""